How do you feel about reaching the semi-finals? I'm really happy, and I'd be even happier if I could get to the finals. I wanted to show entertaining games, so I'm sorry to the viewers that I used strats like 1/1/1. I really wanted to win the games, so I hope you understand. How did you prepare for your match against First? First off, I'm really thankful to TaeJa for giving me advice. PartinG and San helped me practice a lot, as well as my close dongseng FXOTear. I asked Puzzle for help too, I'm really grateful to all of you guys! You used 1/1/1 twice in this series. Was it all pre-planned? I had it prepared to use on Antiga Shipyard, and a different build planned out for Metropolis. However, my 1/1/1 was stopped so easily on Antiga that it made me mad, so I used it again on Metropolis and it worked out well. Base trades tend to be favorable for Terran. Were you surprised he went for the base trade on Metro? Yes, I didn't expect him to go for that at all, so I was kind of surprised at first. But Terran has the advantage in base trades, so I was able to win the game. 1/1/1 is far less popular than before. Do you think it's still a good build? I rarely use it myself normally, but I thought TSL4 was very important, it's the only tournament I'm in right now, so I just went for all the builds Terran can use. 1/1/1 itself, it can be strong, and it can be weak. You used a different kind of all-in on Daybreak, going for Thors and banshees, but it was stopped very easily by your opponent. Did something go wrong in the execution? Usually when Protoss players scout out cloaked banshees and Thors, they don't take their third base that quickly. When First did take his third, I got a bit hasty and ended up attacking without having my army fully prepared, so it ended up being a very one-sided fight. First used an all-in of his own in the game on Ohana. He was doubling your population at certain points in the game and looked to be very ahead. Did you expect that you could make a comeback? When I saw he had a colossus out I was just planning to GG. But when I checked that he had no natural base with my factory, I decided to play it out and see what happened, and I ended up winning somehow. I love you factory! You used a hidden expansion in the first game on Cloud Kingdom. Was that setting up a future mind game in case it came down to game seven (same map)? I didn't think it would ever come down to the final set, so I didn't prepare for it, I just prepared up to game six on Entombed. I figured I would either lose 2 – 4 or win 4 – 2. Your next opponent is whoever wins between Hack and Creator. I guess from your previous interview, you'd prefer Hack? I suppose since Terran is the weakest race, I'd rather face them, lol? Are the opponents ahead of you more difficult than the ones you've faced so far. Hm, I think as long as I don't get nervous, I can play well against them. But I get nervous easily... maybe I should take some cheongshimhwan before the semi-finals? I was shaking pretty hard in the last game of the quarter-finals, so I couldn't micro properly. Thanks to TaeJa for giving me a lot of advice. I'd like to thank my Skype family who helped me practice a lot and cheered me on. Thanks PartinG, Tear, Puzzle, and Genius! Also, I want to apologize again for the one base play. If I get to the finals, I'll try my best to show people entertaining games. How do you feel to reach the semi-finals? I'm glad to get here by beating skilled opponents. You won very easily with a 4 - 0 sweep. Did you expect that? I did expect to win somewhat easily, but I didn't expect to win it by a 4 - 0 score. You seemed to be friendly with Hack before the games. Are you familiar with each other’s styles? Did you have a feel for what he was going to do? Yes, we do know each other, but styles are always changing, so I didn't really know what to expect. Hack used a lot of unorthodox siege-tank timings against you. Did they catch you off guard, or were they strategies you knew of? I didn't know about them before, and I just figured them out when I scouted with observers. You played your PvT very safely. Is it because you feel that if you play management games, you won't lose? No, these days PvT actually feels tougher than the other race match-ups for me. Even if I take it long, I think I'm vulnerable. You go up against Sting next. How do you think he's different from Hack? They're both good players, and I can't take Sting lightly if I want to win the next match. Protoss is dominating WCS Korea right now, why do you think it's the case? Is there a player you'd prefer to face in the finals? Personally I'd like to play against Life. There's not much of a age difference between us, and I'm friends with him too, so I want to see how it goes. I will keep practicing hard for TSL so that I will win it for sure. Cheer for me, please, and thank you! You barely got to the semi-finals at the end of a tough series. How were the games? My opponent's style was different from Korean players so I was caught off guard. He didn't make that many banelings, so he was able to make more high tech units than I expected. However, he kept playing the same way through the entire series, so I was able to win in the end. In other tournaments, you mix in a decent amount of cheeses and all-ins to be unpredictable, but you played your series against JonnyREcco very standard. Any reason for this? Hmmm, I guess I can say I got stubborn? After I lost two games playing standard, I felt I couldn't just let it go like that. So were there any strategies you had planned specifically on each map? Or did you end up playing by feel. In games two and three I just decided on my strategies as I played the games. In the second game, my opponent had trouble playing after I messed up his early game, so I used the same kind of strat in the third game as well. You played a map-split game on Daybreak, where you lost making infantry and nukes. A lot of Terrans go ravens in that situation, so why did you stick to your composition? I should have mixed ravens into my composition, but it only occured to me after the game ended. It was my mistake. Any games that you think you could have won if you played better? You used blue-flame hellions in game one, where you opponent scouted them with an overlord. Then, you used the same strategy again in game seven, on the same map. What was your thinking behind it? It was just simply mind games. But he ended up playing it safe again. Did you feel worried when he sensed what you were doing and went for the safe opener? No, I thought he would do the same thing as before, so I knew what I needed to do to get ahead. Your next opponent is ST_Life. How do you feel about that match? I faced him in the TSL4 prelims before. He's a great player, and I think it will depend on how well I prepare, and how my condition is on game day. That makes it three Zergs in a row for you. How's TvZ going lately? Life cheesed you a few times in the prelim finals, what do you think of his style? I think he was playing without any pressure in those games because he had qualified on points. How he'll play this time? Hmmm... He's a Zerg with his own style, so I think it will be hard. Looking at the remaining player pool, how do you feel about your chances to win it all? I think if I can just beat Life, I can win. I think he's the best player left. First I'd like to say good games to JonnyREcco. It feels so fast reaching the Ro4 already, and I'll try to show better games and win it all! Finally, thanks to our partner MYM, and sponsors Razer, and Lotte-Chilsung. You've reached the semis! How do you feel? I guess it's because I beat a teammate, so I don't feel that great. You had to play your teammate Curious. How did you prepare? Do you practice a lot with Curious usually? He did shout out to you after a WCS KR ZvZ match. Hmmm... Yes I do think we played quite a lot of games against each other since I joined the team. Both of you are strong at management style ZvZ. Did you plan to play him straight up? I just figured it out moment by moment. There were quite a few 10 pool builds used in the series. Were you surprised to see him use it? I was confident that I could stop it even with hatch first, so it didn't really put me off. There wasn't much muta tech in this series, and the player who went muta tended to lose to a timing attack. Is it harder to use mutas in ZvZ these days? Nowadays you have to check up on the situation and make sure you can go mutas, so it's used less commonly. Your drone defense in the final game was fantastic. Are you normally that good, or did you get a bit lucky? I'm usually that confident in my micro. Your next opponent is Keen, what kind of player is he? He's very good at TvZ, so I'm not sure if I can beat him. You used a lot of cheese against Keen in the prelims. Will you change it up for the semis? I don't really cheese too much against Terran, but I used cheeses because I knew I was through. I think I'll play a more macro oriented style this time. You said that against Protoss you have to be unpredictable to win, how is it against Terran? I think if as long as you play safe against Terran, you can win. I'm not that happy to progress after beating a teammate, but since I won, I will make sure I win it all. They they respond in their out english, or is it translated? Sometimes they have unusually short answers. I'd think the interview was in Korean and then translated. Thank you for the interviews! CreatorPrime to win it all! Sting is a really interesting character. He seems to eke out wins that are unexpected, at least to me. Yet he keeps on winning, so perhaps my expectations should change at some point. Also seems to be in some kind of training triangle with Taeja and HerO, which sends my HerO senses tingling. 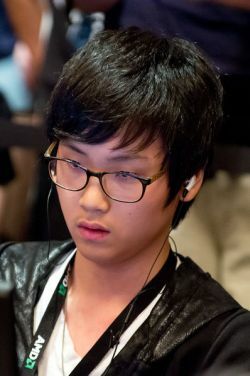 He has faced off with Taeja a lot in online tournaments, so I assume that there are ties forming from that. 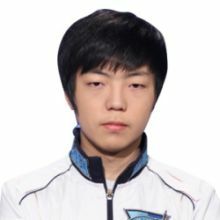 HerO has also attributed quite a bit of his PvT practice to Sting (and Taeja, but that is pretty much a given); in my strange mind, that gives me some attachment to him and makes me appreciate him more than I would someone else without those ties. And of course it helps that he gives pretty well rounded answers. Also, what a tear Creator is on. Just winning everything everywhere. 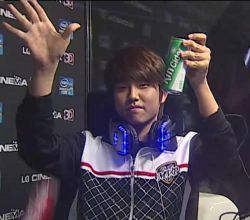 Makes me quite excited to see how he will do in GSL. Of course, saying that I might just jinx it all and he will not make it out of U&D. Please make it out Creator. More fashion shows in live report threads. I love Sting! He was my underdog pick for the tournament and he's kept on delivering. I also like his honesty. He knows spectators don't enjoy 1-1-1, but he really wanted to win so he went for it anyway. To be honest, I hope he continues playing to win rather than satisfying the spectators. I like Keen's interview much more than his first interview. I guess it makes sense since he barely eked out a win, but still, it's nice to see him being a bit less arrogant. Also really nice to congratulate djRecco at the end of the interview. That series was awesome. If only Recco was a bit less conservative I think he would have taken it! Sting and Keen at least showing some more personality in interviews. Wish Life and Creator talked about things more. Feel this is really a breakout performance by Sting, but Creator is just too big of a road block. I think Creator v Life for the finals, but I will hope for my underdog Keen to get through! Isn't it nice to find new players you really like and that you will cheer for? Creator to win it all! Commander Keen to take it all! Ever watched Sting's stream? During games he'll alt tab and use google translate to try to interpret his chat. He's really the man actually, coming from a huge zerg fanboy that's saying something.